I welcomed the opportunity to hear MA Recordings' very first LP, La Segunda, through Steve Norber's ear-opening PranaFidelity Model Fifty90 loudspeaker ($3950/pair). Through the symmetrical array 2-way vented design, I heard good bass, captivating depth, and plentiful air. In short, Todd Garfinkle's LP, sourced from high-resolution digital masters, sounded great. After seven previous Grammy nominations for his engineering efforts, veteran recording engineer and equipment designer Keith O. Johnson has received his first Grammy. 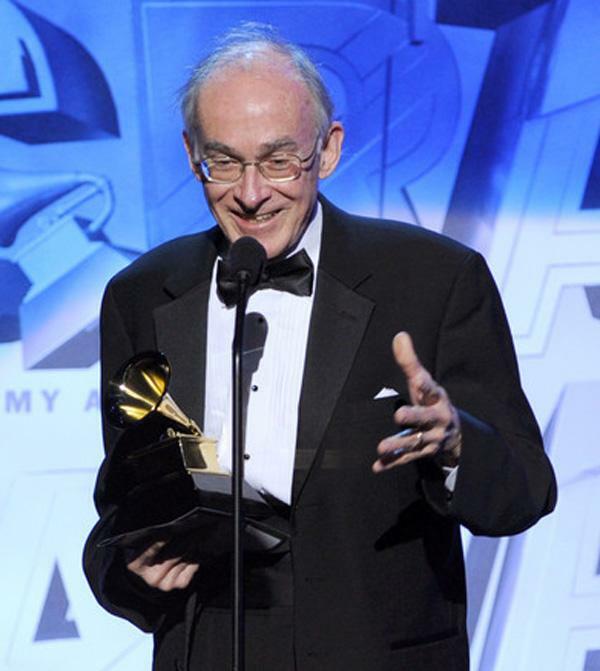 Together with producer David Frost, "Professor" Johnson won Best Surround Sound Album (for vocal or instrumental albums) at the 53rd Annual Grammy® Awards. It was a first-time venture for Elite Audio Systems, San Francisco’s newest and unique fine-audio emporium. 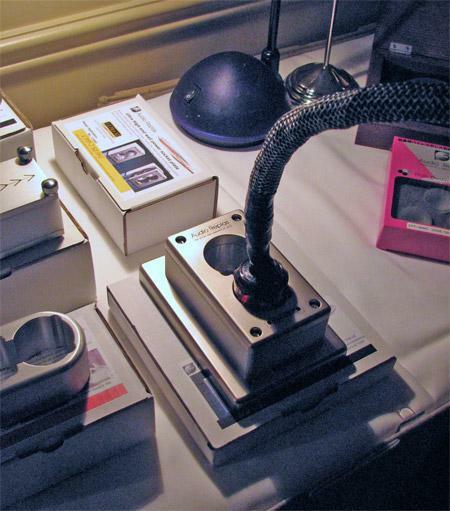 On June 29, 2013, proprietor Michael Woods opened his doors to an event, co-organized with Peter Truce of the Bay Area Audiophile Society’s Analog Committee, that drew close to 60 folks to two mainly analog listening sessions. Naxos is making money from classical music. In the record industry, which seems to daily lament declining sales, piracy, and the demise of bricks-and-mortar retailers, that's news in itself. But when the world's largest independent classical-music company is able to turn a tidy profit while catering to the needs of audiophiles, that's cause for rejoicing. One year after the Consumer Electronics Show switched venues from the Alexis Park to The Venetian/Sands Expo and Convention Center, leaving "renegade" exhibitors at T.H.E. Show's less costly St. Tropez venue isolated from the rest of the action, both shows are back stronger than ever. CES's "high-performance audio" exhibits in the Venetian's Tower Suites have increased to 173 from 122, while T.H.E. Show has expanded to a total of 90 exhibit rooms in the Alexis Park and the St. Tropez. 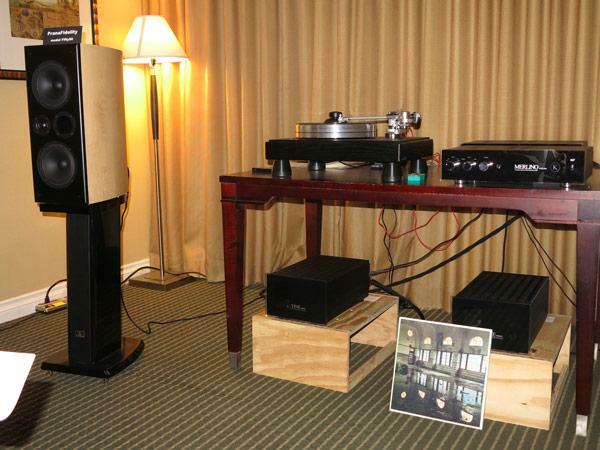 The 2011 Rocky Mountain Audio Fest, which runs October 1416 at the Denver Marriott Tech Center, promises more exhibits than ever before. With 480 exhibitors spread over 176 hotel rooms and three vendor areas, and advance attendance figures indicating at least 3500 attendees, the show continues to attract even more of the industry and public despite the economic slowdown. While the proportion of East and West Coast attendees remains stable, you'll see more international attendees, including folks from Thailand, India, Japan, Australia, Argentina, Singapore, Brazil, Canada, Finland, New Zealand, Mexico, and the UK. 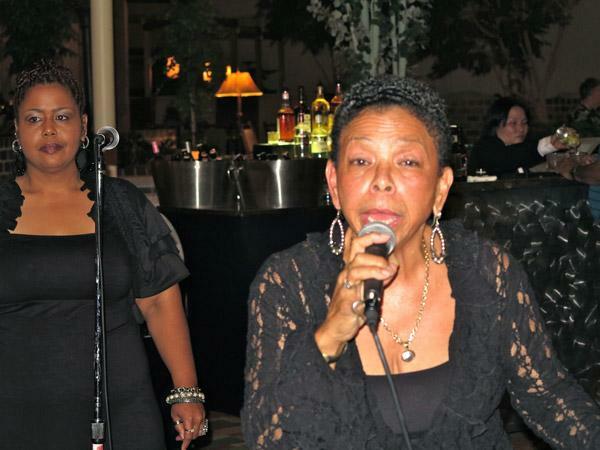 "The big news is that we've scheduled a special exhibit at the Hyatt down the block," show organizer Marjorie Baumert told Stereophile. "We've expanded because Chad Kassem of Acoustic Sounds and Analogue Productions has put together a preview presentation of the new 5.1 surround sound SACD of Pink Floyd's Wish You Were Here, running all three days, and played through the same Acoustic Transducer Company (ATC) loudspeakers that were used to mix the project. 2L, the Norwegian label that made audiophile history in 2006 when one their early high-resolution SACDs, Immortal NYSTEDT, received Grammy Award nominations for "Best Surround Sound Album" and "Best Choral Performance," has taken a big step back to the future. After releasing a number of recordings packages that feature both hybrid SACD and hi-resolution Blu-ray discs, as well as making their DXD (352.8kHz/24-bit) recordings available for download, 2L has just ventured into the black hole known as vinyl. "We are your one-stop shop for cables and tweaks," proclaimed Joseph Cohen of The Lotus Group, while leading me through two rooms filled products. Even the new products took up two pages of notes. 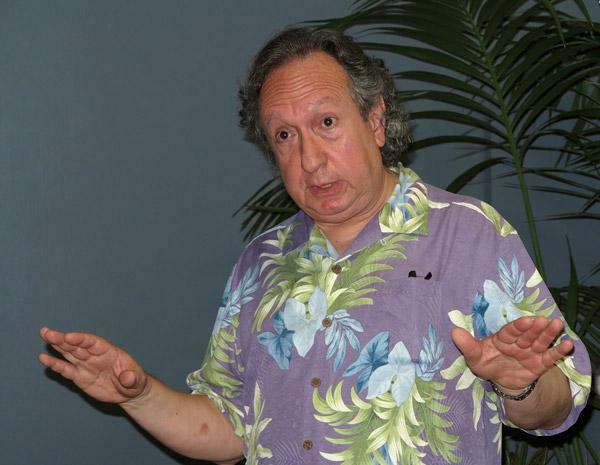 Through it all, I remained extremely jealous of legendary mastering engineer Steve Hoffman, who had settled onto a couch in front of the fabulous Feastrex $55,000/pair speakers, and was blissfully tapping his foot to the extremely realistic, full-range sound of a jazz combo playing back on a A Feastrex modified EMT studio type CD player with outboard line transformer. 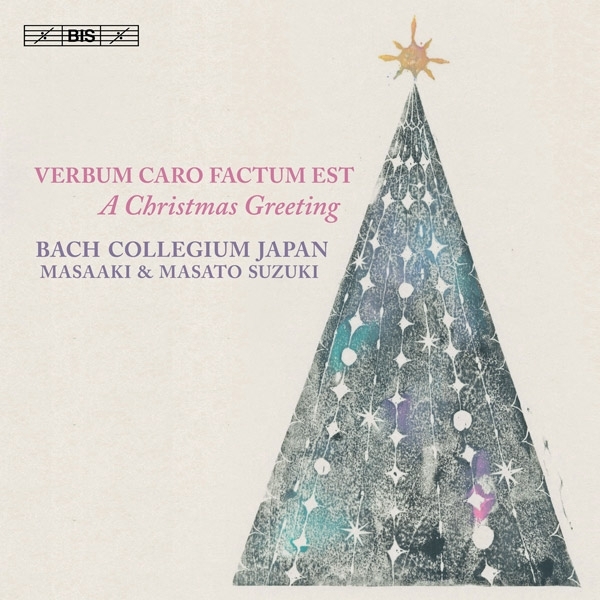 Although I'm far more of a "Happy Holidays" audiophile than anything else, the prospect of a high-resolution Christmas-themed recording from Masaaki Suzuki and his superb Bach Collegium Japan led me to their new hybrid SACD issue from BIS, Verbum caro factum est: A Christmas Greeting (BIS-2291). Auditioned as a 24/96 stereo downloaddownloading or streaming are the only ways to access the recording immediately, and in format choices that include surroundMasaaki Suzuki's recording managed to bring smiles, warmth, and good cheer to this admittedly down-on-religion Grinch.